Each protein bar is hand made and oven baked in the United Kingdom. 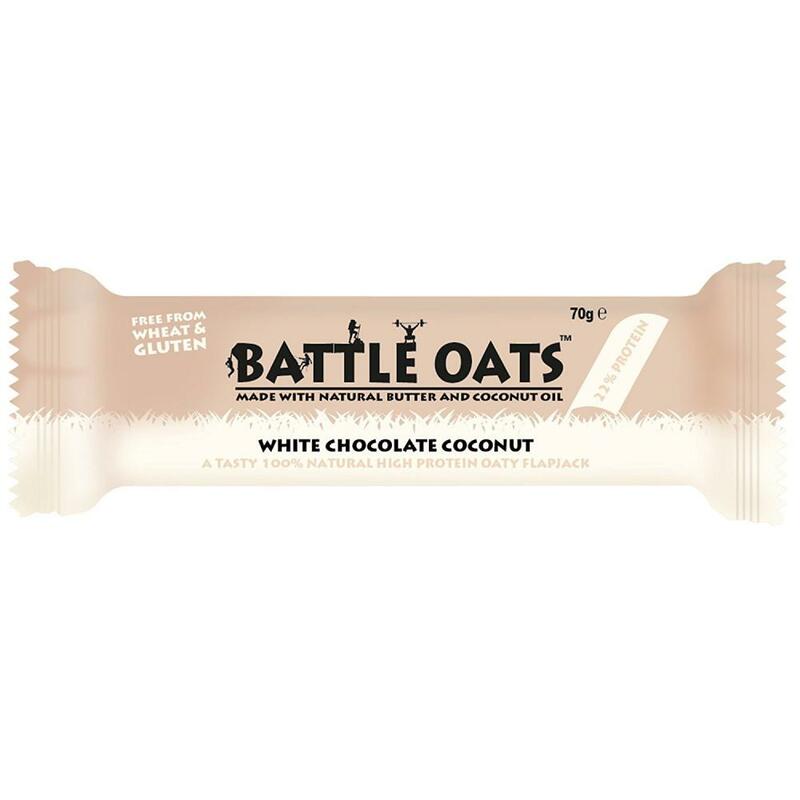 Battle Oats use only 100% natural gluten free and wheat free ingredients and are GMO free. Protein packed and high in fibre: Each Battle Oats bar provides 22% premium protein isolate and is filled with 8-9g of dietary fibre. Coconut Oil and Butter: Each Battle Oats protein flapjack is made with pure natural coconut oil and real butter. Battle Oats DO NOT contain palm oil or margarine. Rich in nutrients: Battle Oats nutrition bars are tasty and provide a slow release form of carbohydrates, are rich in protein and are high in fiber. No artificial flavours, colours or preservatives: Battle Oats protein oaty flapjacks are 100% natural and contain zero artificial flavours, colours or preservatives.